Got Android? Get the new POTV App from Google Play!- browse the forum, marketplace, and the rest of all our great services from one place... best of all, it's FREE! -iOS coming soon! This Wiki was created using the collaborative effort by members of the UK Vaping and E-Cigarette Forum, Planet Of The Vapes. Please visit the forum Planet Of The Vapes for more information. If you would like to add anything to this Wiki or find any errors, get in contact with us please use the GREEN Support Tab to the right of this Wiki. 1.3 What is an Electronic Cigarette? 1.4 What is a Personal Vaporiser? 6.1 How To fill a Cartomiser? 11.1 E-liquid, What do you need? So you're here because you heard something about these electronic cigarettes and how they are supposed to help you quit smoking right? Or maybe you are just looking for accurate information that won't mislead you. Whatever the reason, you have come to the right place! Electronic Cigarettes are an alternative delivery system to obtain nicotine, while, according to the American Cancer Society, avoiding 7000+ other chemicals in traditional cigarettes. A simple battery powered device, heats a small metal coil, your Atomiser, which in turn heats up a nicotine infused E-Liquid. When the E-Liquid is heated, it creates a relatively safe vapour that you can then inhale and exhale. This motion simulates the use of regular cigarettes. 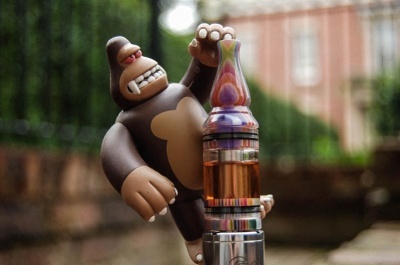 Have a look around our Wiki for more information and if you are feeling really adventurous head over to our UK Vaping and E-Cigarette forum Planet Of The Vapes, where you will find a large gathering of like minded friendly people who can help you even further. Electronic Cigarettes are not as new as you might think. The idea first was envisaged by Herbert Gilbert  in 1963 when he patented a "smokeless non-tobacco cigarette". In 1967 he was approached by several companies to begin commercialization of his product, however it did not occur. In 2000, Hon Lik, a Chinese chemist, is internationally credited with the invention of the Electronic Cigarette that we are most familiar with. He devised the use of a piezoelectric ultrasound-emitting element to vaporise a pressurised jet of liquid containing nicotine diluted in a Propylene Glycol solution. This design produced a smoke-like vapour that can be inhaled and provided a vehicle for nicotine delivery into the bloodstream via the lungs. He also proposed using propylene glycol to dilute nicotine and placing it in a disposable plastic cartridge which serves as a liquid reservoir and mouthpiece. These inventions are the basis of the present-day electronic cigarettes. The device was first introduced to the Chinese domestic market in May 2004 as an aid for smoking cessation and replacement. The company that Hon Lik worked for, Golden Dragon Holdings, changed its name to Ruyan (如烟, literally "Resembling smoking"), and started exporting its products in 2005–2006 before receiving its first international patent in 2007. Not all electronic cigarettes LOOK like a real cigarette, in fact most of them look like small pens with red, orange, blue or green glowing tips. They are easily distinguishable from a real cigarette though by a few factors aside from appearance. There is no smoke. Smoke requires combustion and the burning of a material. E-Cigs do not burn or make flame. They heat a metal coil to bring a liquid up to vapourising temperature. Smoke smells badly. Vapour smells of nothing or faintly of the liquid flavourings, which consists of fruits, deserts, and fresh unburned tobacco smells (fresh tobacco). The cartridge or cartomiser is the part of the cigarette that allows the liquid to be absorbed. Sometimes you may need a drip tip in conjunction with with a cartomiser. The atomiser or cartomiser is responsible for heating the liquid to be vaporized. The unit is powered by a battery. There are automatic batteries which require you to puff in order for the atomiser to be activated. Manual batteries require a button to be pushed to activate the atomiser. What is a Personal Vaporiser? A Personal Vaporiser is essentially the exact same thing as an Electronic Cigarette, however, it's size, appearance in general and some functions are the most notable differences. A PV, normally has a seperate housing from the battery, you must insert a bigger battery into the device in order for it to work. It also sometimes has advanced menu options, like adjusting voltages or wattage. Sometimes you can check the resistance of an Atomiser or how many volts are left in the battery. One of the most well known Personal Vaporiser is the Provari. As you can see, Electronic Cigarettes and Personal Vaporisers can vary widely in style and design. The main benefit of using E-cigarettes or Personal vapourisers is that you avoid inhaling the 4000+ dangerous chemicals in tobacco smoke, thus minimising the risks to your health. 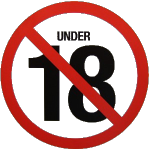 You can also legally vape indoors as the smoking ban only covers smoke produced by combustion, E-cigarettes produce no smoke only a smoke like vapour. Liquid for producing vapour in electronic cigarettes, known as e-juice or e-liquid, is a solution of Propylene Glycol (PG) and/or vegetable glycerin (VG) and/or polyethylene glycol 400 (PEG400) mixed with concentrated flavours, and optionally, a variable percent of a liquid nicotine concentrate.They are often sold in a bottle or as pre-filled disposable cartridges. Many manufacturers offer dozens of flavours which resemble the taste of regular tobacco, menthol, vanilla, coffee, cola and various fruits, but nicotine concentrations vary by manufacturers. The standard notation "mg/ml" is often used in labelling, sometimes shortened to a simple "mg". Nicotine-free solutions are also common.Some electronic cigarette users opt to make their own e-juice in a form known as "DIY". Personal Vaporiser's and Electronic Cigarettes are practically the same thing, however, it's size and some functions are the most notable differences. These are Electronic Cigarettes that mimic the appearance or size (sometimes both) of a regular cigarette. Ego's are the popular "step up" devices from the Cig-A-Likes or Pen-Style Devices. They utilise larger batteries, dual 510/Ego threading and are able to accommodate many different Atomisers and Cartomisers. Mechanical Mods are modified electronic cigarettes that take a larger battery and have no internal wiring. A good example of a Mechanical Mod would be the Argento which is also known as the Indulgence and Siam Mods Cube and Hex. While this is similar to Variable Voltage, Wattage seems to deliver a steadier output resulting in less overheating, more flavour and more vapour. Accessories can vary from battery to device to modifications. We have a list of accessories you may find useful to enhance or complete your vaping experience. 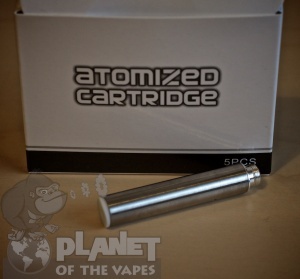 Atomisers are the bit that heats up E-liquid in order to create vapour. There is no flame involved and liquids are heated to just before boiling point. 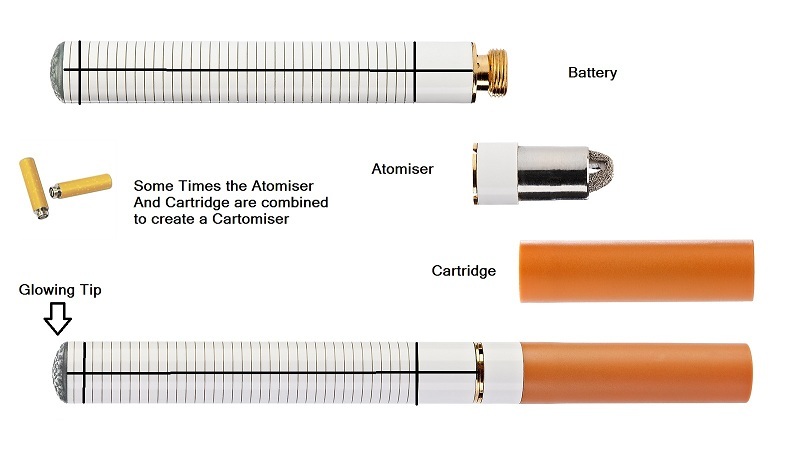 Atomisers are considered a semi disposable item as their life expectancy can vary from 3 days to several months. There are many different types of batteries used in Electronic Cigarettes. The most common however, are various sized round, lithium-ion, rechargeable batteries. These types of batteries are not interchangeable with different chemistry batteries. 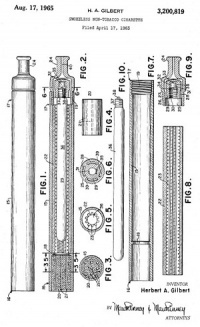 Battery sizes are shown using a 5 digit system, The first two digits refer to diameter, the second two length and the fifth is usually a 0 indicating cylindrical therefore an 18650 battery is 18mm dia, 65mm Length and round in shape. Please see the Battery Safety Chart for more information. This chart was originally posted on this link. How To fill a Cartomiser? Cartridges are refillable "caps" that go over the atomiser. Cartridges contain a filler, most time, a type of synthetic foam, in which you drip liquid into. The cap is then placed onto an atomiser attached to a battery so that you can vape. Clearomisers are essentially the same as a Cartomiser. However, the main difference is that you are able to see the amount of liquid inside the clearo. Most clearomisers do not utilise a filler like a Cartomiser, however, they depend on Silica Wicks to deliver E-Liquid to the coil on the Atomiser. Rebuildables are items that you can maintain yourself without having to buy pre made manufactured items. You can get Atomisers and Tanks (Also known as Genesis Tanks). You build your own wick and coil on personal preference. The extra bits you need are, stainless steel mesh, silica, wick, and some resistance heating wire like Kanthal or NiChrome. 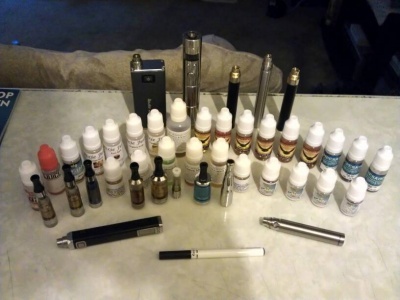 By being able to maintain your atomiser or tank on your own, you are saving money as well. Tanks come in a variety of sizes and materials. You can use Standard Cartomisers, Dual Coil Cartomisers, and Genesis Style rebuildables. Making your own E-Liquid is not as hard as you may think, however there is a lot of information about how to do it, spanning several different methods. E-liquid, What do you need? Everything you could possibly need to know about mixing. Flavour Pairing- Want to know what flavours go great together? As of February 2013 there have been several studies, clinical researches and surveys done in regards to Electronic Cigarettes and their side effects. Please click Studies to read the information we have compiled. For more information and current studies, please visit this link. E Cigarette Research Group-This website has been developed in order to provide information to smokers and electronic cigarette users about the research conducted on this issue worldwide. Our only goal and purpose is to provide all information in a simple and easy-to-understand language. We have cooperated with scientists and specialists in electronic cigarette research, therefore all comments posted in our website are of high quality and scientific integrity. Nicotine Science and Policy (NSP)- is devoted to news, research, comment and policy analysis on nicotine containing products, in particular nicotine delivery devices such as electronic cigarettes and novel nicotine delivery systems, smokeless tobacco, and other non-combustible tobacco products. ↑ Health New Zealand (17 October 2007). "The Ruyan e-cigarette; Technical Information Sheet"]. Health New Zealand. http://www.healthnz.co.nz/Ruyan_ecigarette.htm. Retrieved 31 March 2008. ↑ December 2012 "Planet of The Vapes Mixology Forum". http://www.planetofthevapes.co.uk/forums/forumdisplay.php/67-Mixology December 2012. This page was last edited on 28 February 2014, at 20:49.